Ipswich Granny Flats bringing you an up to date article on the east coast property market – see what it says about the Ipswich market! When the head boffins at the Reserve Bank deliver their sermons about “prices don’t always rise, sometimes they fall”, many Australians who don’t need reminding must wonder what planet they’re from. People living in many parts of Queensland, for example. If you’re an apartment owner in Cairns or Townsville, you don’t need a lecture about the reality that prices don’t always rise. The latest edition of Market Monitor from the Real Estate Institute of Queensland shows that median apartment price in Townsville today is 11% lower than it was five years ago. In Cairns, average values remain 15% lower than in 2009. There are stories like this throughout the state (and throughout the nation). Large parts of Queensland are undoubtedly on an upward trajectory now, but many markets still have price levels lower than five years ago. 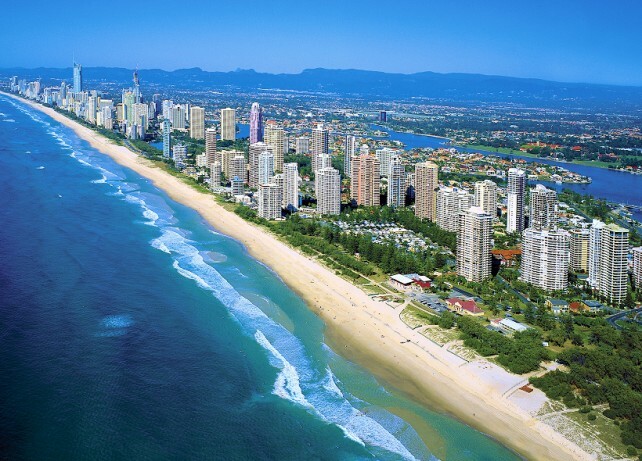 Click here to learn more about the Top Ten places to buy in Queensland. The median unit price for the Whitsundays has risen 9% in the past 12 months, but it remains 6% lower than in 2009. Despite a little growth in the median unit price in the past year, Gold Coast values are still lower than in 2009. Ipswich City in the south-west of the Brisbane metropolitan area is back on a growth path, but its median house price is still below former levels. Owners in locations like these aren’t talking about whether prices sometimes fall. They’re talking about whether they ever rise. The good news for most of the locations mentioned above is that they are now moving into growth phases. Cairns, the Sunshine Coast, Ipswich and the Gold Coast can all look forward to significant price gains, after five bad years. No doubt commentators will soon be warning us about bubbles. The people who least need a reality check about the possibility of property values falling are those who live – or own rental properties – in Moranbah, the coal mining town in Central Queensland which has become the quintessential boom-bust story of modern times. Moranbah’s median house price is down 28% in 12 months, according to the REIQ figures, and is now 15% lower than it was five years ago. There are some more positive stories in the same combination of numbers from the Queensland Market Monitor report. There is some comfort for landlords in Gladstone. While the median house price has dropped about 10% in the past 12 months, it remains 12% higher than in 2009. So anyone who bought five years ago remains ahead on value, despite the current decline in that market. There are similar stories for owners in Emerald and Mackay. If you bought five or more years ago, you’re still in front, despite the recent downturn. The Market Monitor report reveals Toowoomba to be the state’s success story. Its median house price is up 10% in the past year and is now 24% higher than five years ago. There are almost identical numbers for the Toowoomba unit market. It also shows the gathering momentum in South East Queensland, where every municipality in the conurbation covering the Gold Coast, Brisbane and the Sunshine Coast has delviered price growth in the past 12 months – still quite moderate, ranging from 2% in Redland City to 8% in Brisbane City, but there is considerable momentum in these markets.